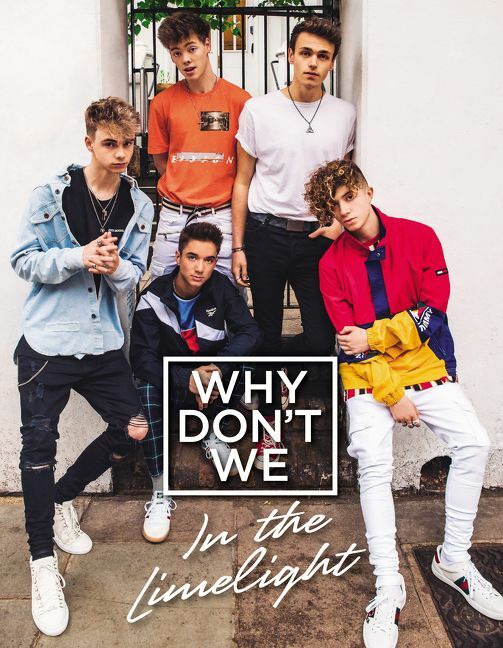 Why Don’t We is a five-member band composed of Zach Herron, Corbyn Besson, Jonah Marais, Daniel Seavey, and Jack Avery. Since forming in 2016, they have released five EPs plus their first major album with Atlantic Records. In 2018, they were nominated for MTV’s Push Artist of the Year. They have hit #1 on iTunes, been covered by Billboard, Rolling Stone, Forbes, TIME, Teen Vogue, Seventeen, and more, headlined a sold-out tour, performed at Madison Square Garden, and played alongside artists such as Taylor Swift, Ed Sheeran, Camila Cabello, The Chainsmokers, Logic, and Zedd at Jingle Balls in eleven major cities. They’re known for their optimistic vibes, happy music, strong intraband friendships, and love for their fans.